Orthodontic treatment is never inexpensive. Dr. John Walker and the team at Walker Orthodontics is an orthodontics specialist and is experienced in prescribing for his patients Invisalign clear aligners. 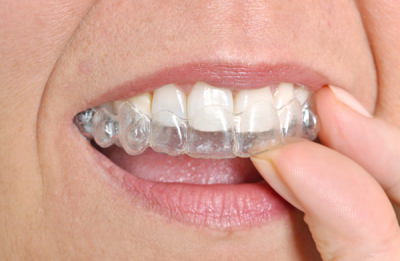 For some patients, treatment with Invisalign might be less expensive than traditional metal braces. For others, Invisalign might be more expensive. The amount of work needed, the amount of treatment time, the payment plan chosen, and the individual patient’s insurance policy provisions all factor into the price of treatment. For more information about treatment with Invisalign, Walker Orthodontics can help answer any questions. Your dental or health insurance may cover part of the cost of orthodontic treatment (up to $3,500 for some patients) with Invisalign. Your individual insurer can give you more information on what kind of orthodontic treatments they cover. You can trust your Harvard, MA, orthodontist to guide you through the process. Cost should not be a barrier for anyone seeking to improve their oral health and straighten their smile. A Flexible Spending Account (FSA) can help you save funds for Invisalign treatment. Dr. Walker and the team at Walker Orthodontics will work with their patients to develop a plan of payment over the course of their treatment that can help defer some of the costs of treatment. Invisalign.com has a Cost Calculator tool that computes the approximate monthly cost of your treatment based on information about your insurance and flexible spending account.